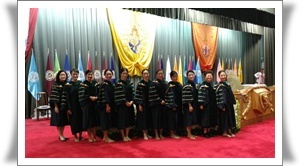 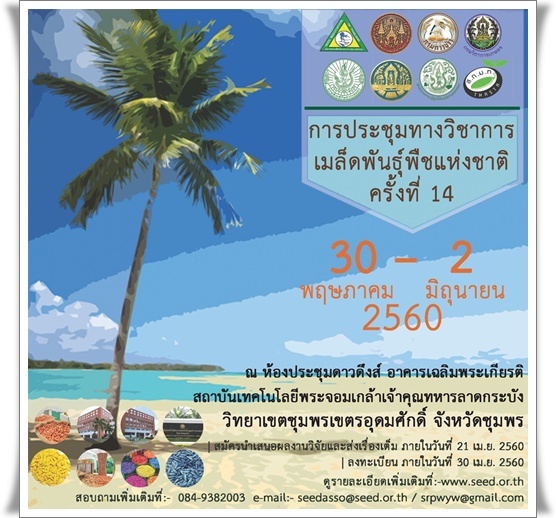 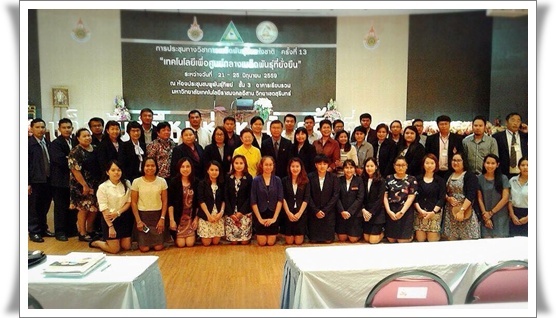 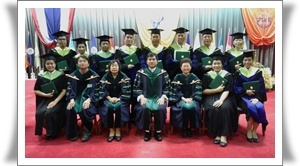 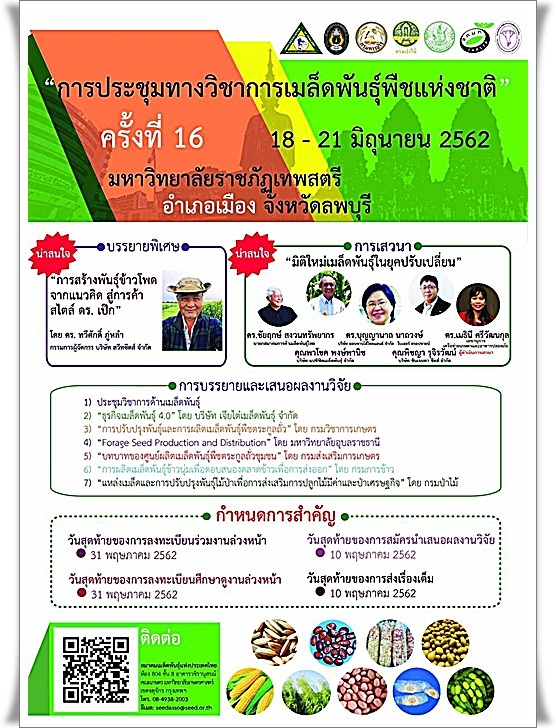 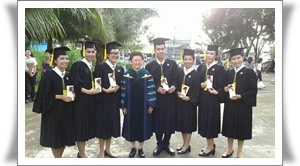 during 18-21 June 2019 at Thepsatri Rajabhat University, Lopburi Province. 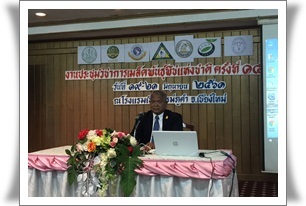 "Next Step of Thai Farmers - Crisis or Opportunity"
World Vegetable Center - East and Southeast Asia based in Thailand together with Kasetsart University and Taiwan Agricultural Research Institute, Council of Agriculture have a joint project on Tomato Varietal Testing for disease resistance and heat tolerance. 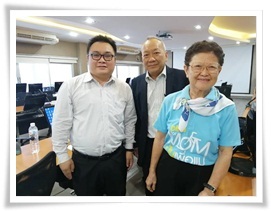 Period of testing is during November, 2018 to April, 2019 at Kamphaengsan Campus, Nakhon Prathom Province. 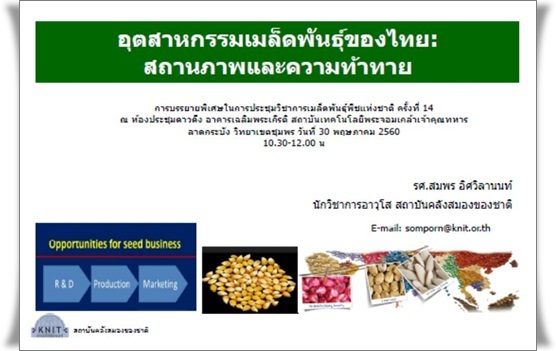 World Vegetable Center is going to host the open field day on February 21, 2019 aiming to invite any person from seed companies in Thailand who are interested in tomato varieties from Taiwan to join this event from 09:30 am - 12.30 pm. 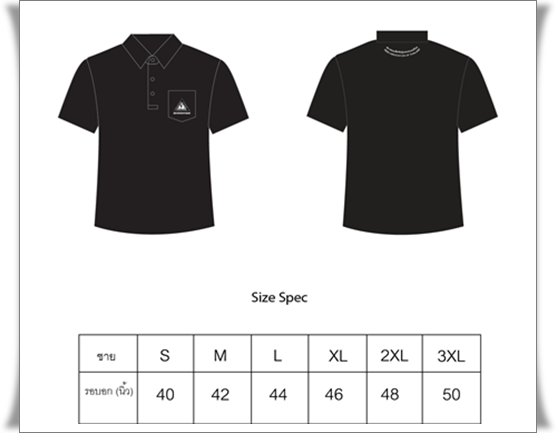 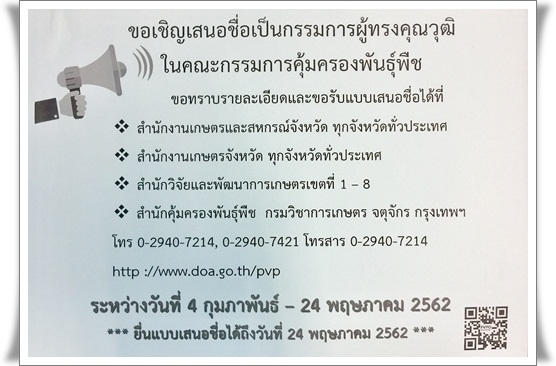 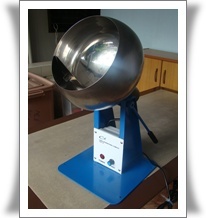 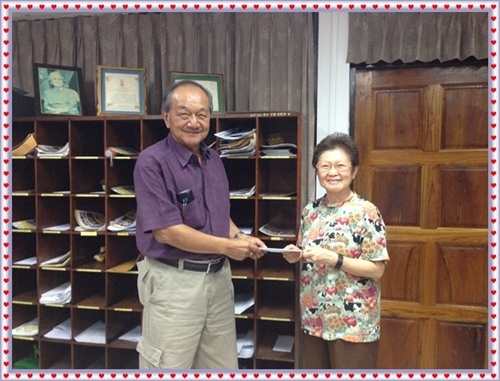 Please contact Mrs Somchit Pruangwitayakun, Tel. 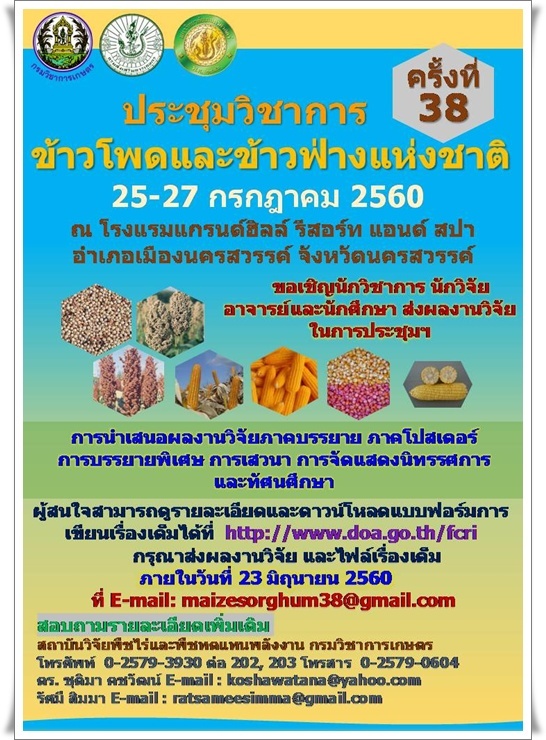 08-1790-7569 and 09-3615-9466 or Email: somchit.pruangwitayakun@worldveg.org. 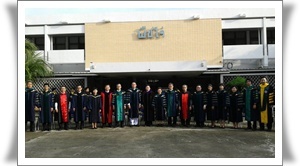 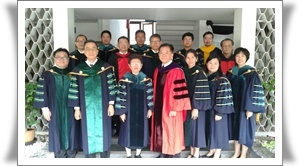 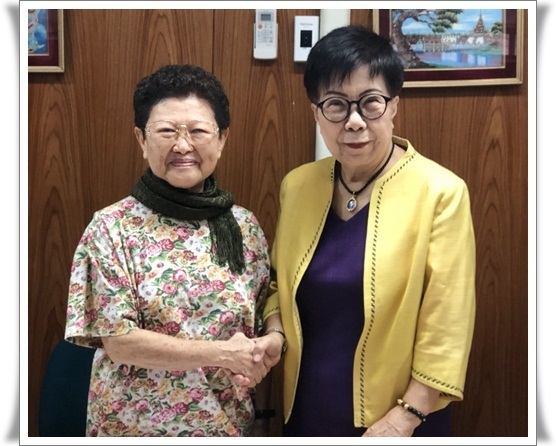 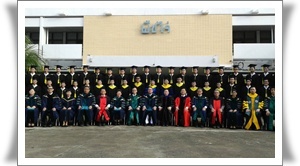 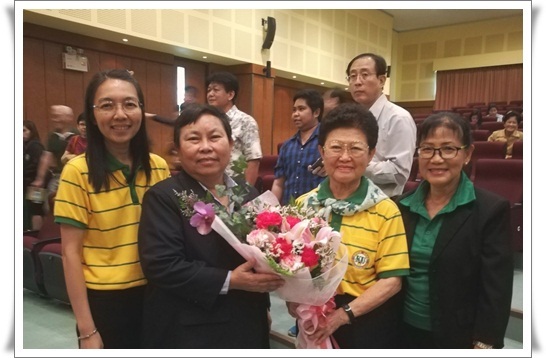 "the Outstanding Alumni, Faculty of Agriculture, KU, Year 2019: Academic Type"
Dr Juangjun Duangpatra, SAT's President, joined the meeting with the Extraordinary Commission,National Legislative Assembly, to consider the rice bill on 3 January 2019. 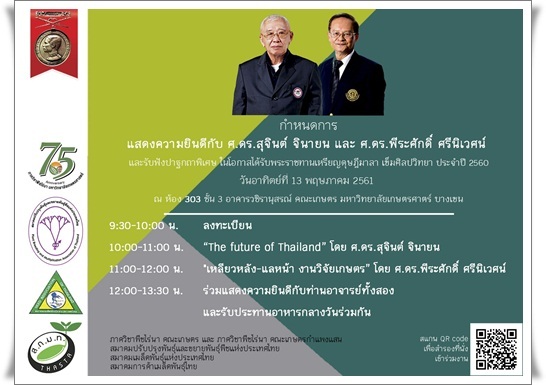 Announcement of National Strategy, 2018 - 2580: The Government Gazette Vol. 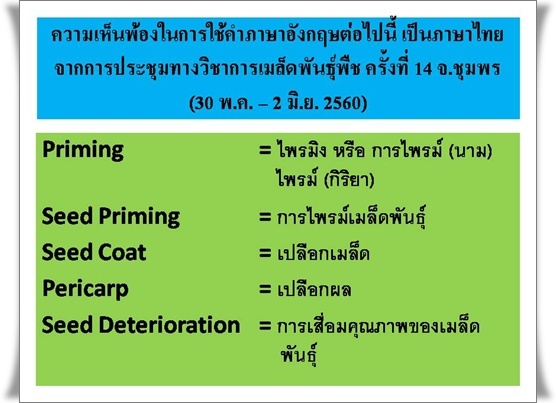 135, No. 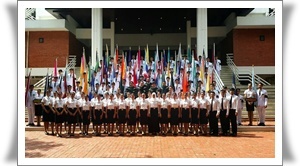 82 A, October 13, 2018. 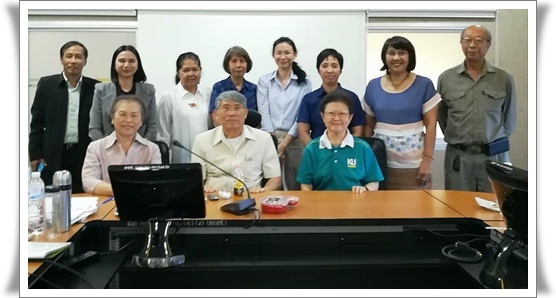 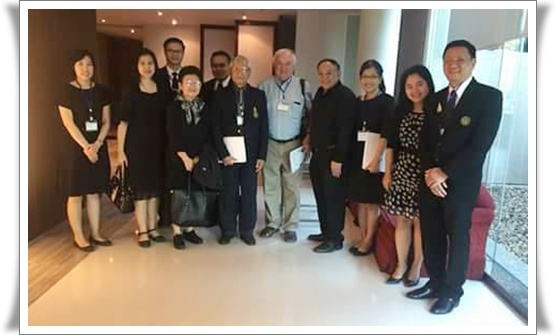 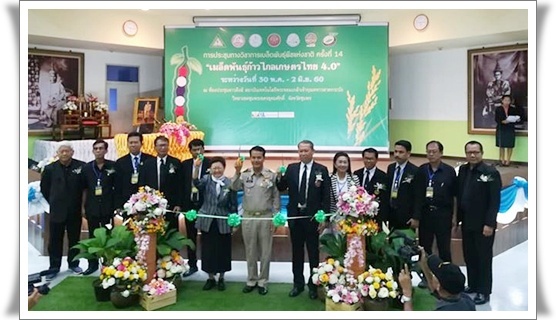 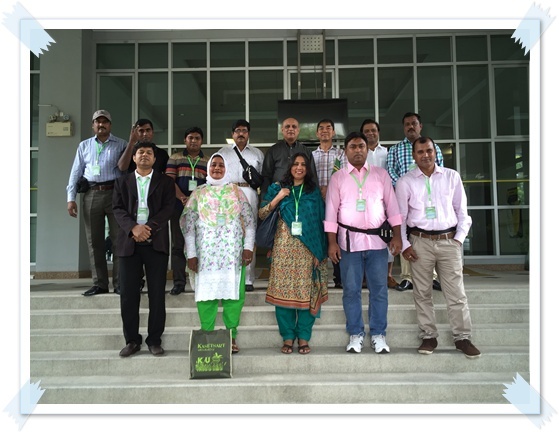 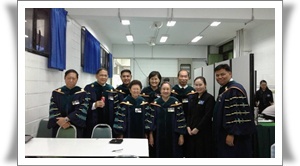 Associated Professor,Dr Juangjan Doungpattra, president of Seed Association of Thailand (SAT) had joined, recently, The Committee Meeting on Making Seed Standard of Forage Crops. 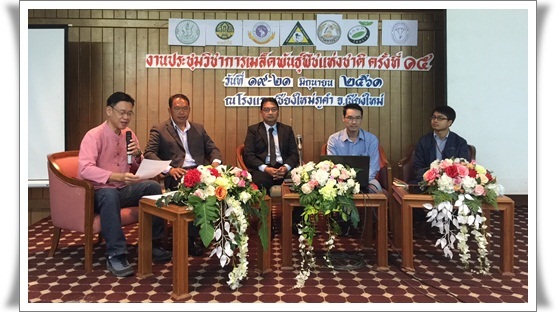 This standard will be handed on to the National Bureau of Agricultural Community and Food Standards (ACFS) before conducting the public hearing in March 2018. 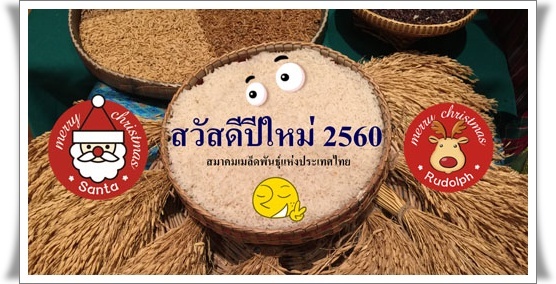 Recently, NGOs have provided some faked information in the media that make the public so confuse about details in the draft amended of Plant Variety Protection Law B.E.2542 proposed by the Department of Agriculture. 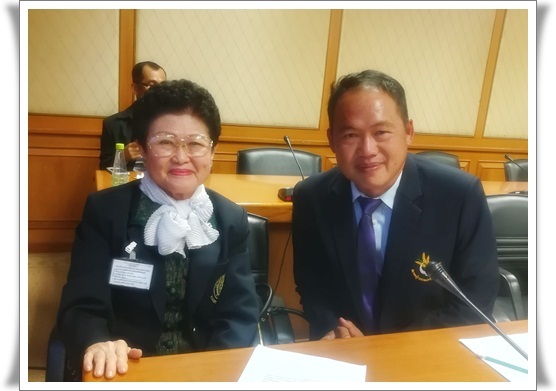 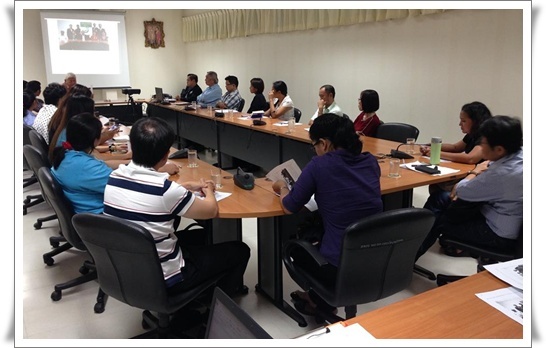 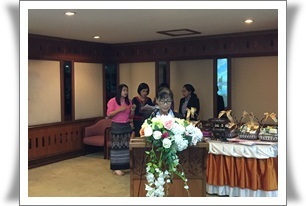 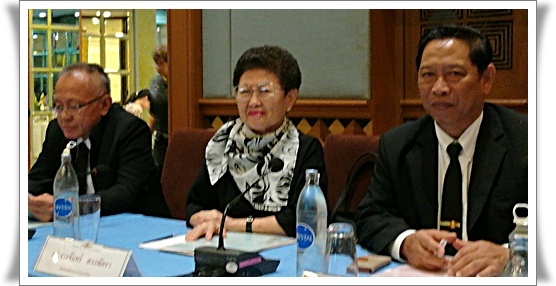 The 3rd Committee's Meeting was performed on August 18,2017 chaired by Associated Professor, Dr Juangjan Doungpattra, president of Seed Association of Thailand (SAT)in order to acknowledge the budget used for organizing the 14th Annual National Seed Conference which held on May 29 - June 1,2017 at Chumporn Province and preparing for the next 15th Annual National Seed comference in 2018. 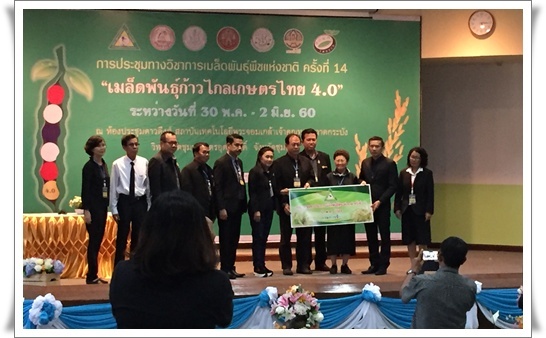 Associated Professor,Dr Juangjan Doungpattra, president of Seed Association of Thailand (SAT) did join the special seminar on the topic "Global Impact of Biotech Crops: Economic & Environmental Effects 1996 - 2015" which held on September 4, 2017 at Centara Grand Hotel, Ladpraw, BKK. 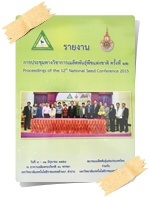 Seed Association of Thailand will organize the Study Tour to Japan to visit the Mikado Kyowa Seed Company and Sakata Seed Corporation during 15 - 20 October 2017. 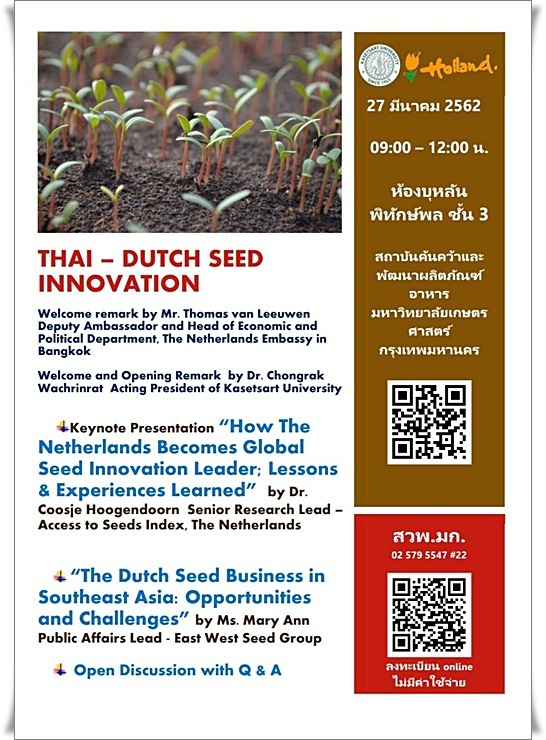 If you are interested to join this tour please save your seat by sending email to seedasso@seed.or.th within 30 June 2017. 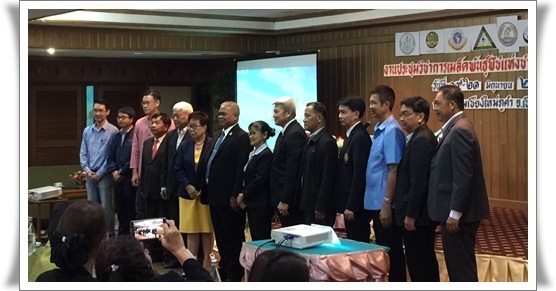 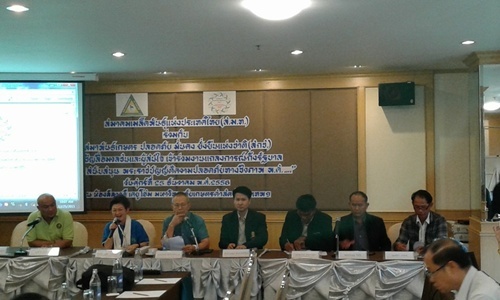 Associate Professor, Dr Juangjan Duangpattra, SAT's President attented the meeting to discuss the draft on Agricultural Products Standard for GAP of Maize Seed Production at Maruay Gardens Hotel on May 4, 2016.